Nowhere in the world is Hari Raya Aidilfitri or Eid ul Fitr celebrated like in Malaysia. The whole country rejoices, no matter what race or religion one is. 1Malaysia may been coined recently, but the nation has been together through thick and thin from the time our fathers and grandfathers fought for independence. If sports bridges all differences to unite a nation, so do festivities in our nation. With a bit of understanding, tolerance and appreciation for each other, our nation will prosper and grow. Every time Hari Raya comes around, I remember two things that touch me greatly. 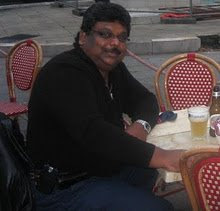 First, my late brother, Jeyaprakash, would fast during Ramadan. From his schooldays in St John’s Institution, most of his friends were Malays and he used to fast throughout the month because they did. My late mother would even get up to prepare him sahur and have a meal prepared for him when he returned home to break fast. Even my sister and mother would fast with him because they could not stand him fasting alone. When Hari Raya came, he would ride off on his bike to his friend’s house in the kampung armed with his Baju Melayu and songkok to spend a few days with him. For the record, Jay Jay, as he was affectionately called by his friends, was not a Muslim, but my two other brothers, Jesu Adam and Johan Jothi, are converts. Our family accepted their conversion whole-heartedly. Jay Jay passed away in 1993 and last year after 21 years of his passing, his good friend, Zulkefli Manaf, got in touch with me through email. And Zul's message was indeed touching. Zul referred to my late father and mother as amah and appa and spoke of the times they treated him like a son each time he came to our home and of Jay Jay whom he described as a brother. Such moments certainly bring out the Malaysian in me. The other thing that is imbedded in my mind is my good friend and former colleague Rosmanizan Abdullah, now an editor with Utusan Malaysia. Rosmnizam’s full name is Rosmanizam Abdullah @ Ang Teck Lee @ K.T. 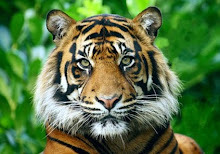 Rajah. 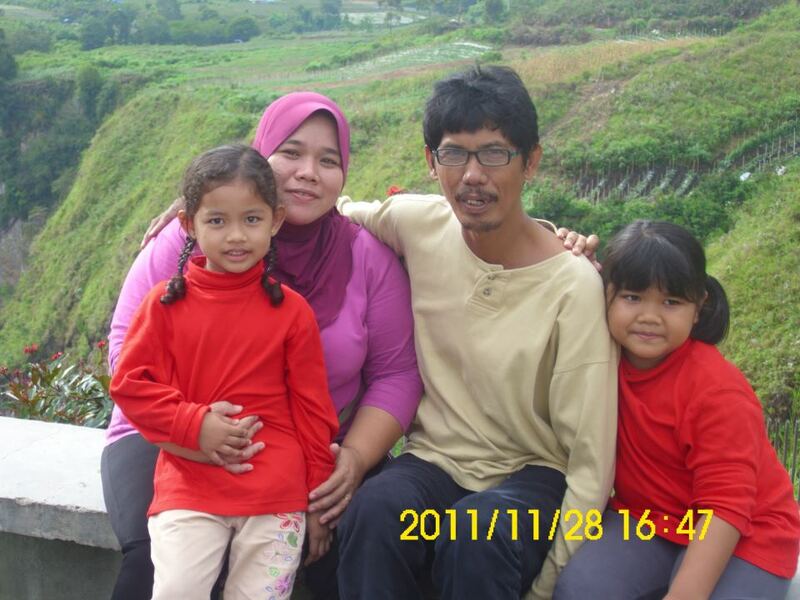 This 55-year-old, father of seven (from two marriages) is living proof of a true Malaysian. I have known Rosmanizam since he joined Berita Harian in 1979 as a news reporter before covering sports from 1980 to 1985 and then back to news until 1991 before moving to Utusan. A veteran journalist, an avid cricketer and sports administrator (secretary-general of the Malaysian Malays Cricket Association since 1992 and former Olympic Council of Malaysia assistant treasurer) has a touching story behind his three names. 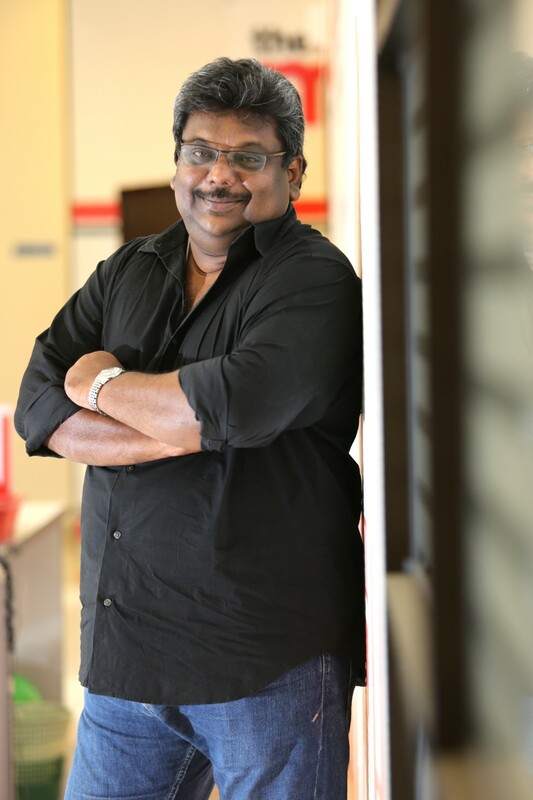 Ros, as he is fondly known, was born on May 25, 1960, to a Malayalee father, K.T. Gopih and a Chinese mother, Ang Mek Choo, in Tanah Merah, Kelantan. K. T. Gopih @ K. T. Gopal, who hailed from Thrissur, Kerala, India, and of the Karanjery clan, is well remembered for his kind deeds to the villagers of Belimbing, Tanah Merah, Kelantan. For a week after Ros was born, he was unnamed because his parents could not decide on a name for him until they decided that he be named K. T. Rajah. Soon after that, Ros fell ill and it was then that his mother believed that a Chinese name will make him well. She then asked her brother, Ang Kok Soon, to adopt him and give him a Chinese name. That was when the second name - Ang Teck Lee - was added to his K. T. Rajah. 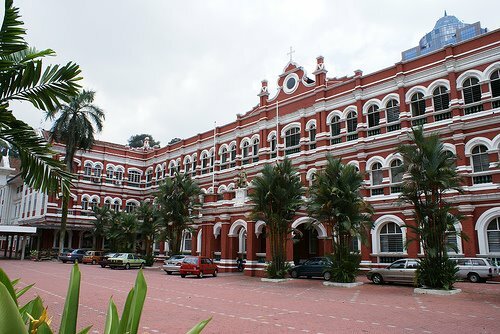 For his secondary education, his father sent him to Melaka to study at St David's High School. Ros stayed at the hostel in Bukit China and continued to learn Jawi. 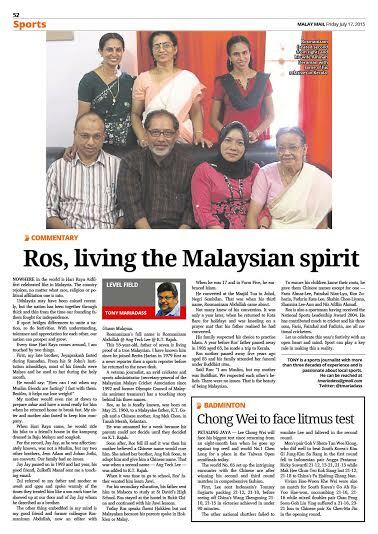 Ros speaks fluent Hokkien but not Malayalam because his parents spoke in Hokkien or Malay. When he was 17 and in Form Five, he decided that he wanted to embrace Islam. He converted at the Masjid Tua in Johol, Negri Sembilan, where a schoolmate and his father assisted him. That was when his third name, Rosmanizam Abdullah, was added to Ang Teck Lee and K. T. Rajah. No one influenced him or forced him to embrace Islam. It was something he wanted to do after having studied Agama. Nobody knew that he was going to embrace Islam, including his parents. It was only one year later, when he returned home to Kota Baru for holidays and was praying that his father realised he had converted. His father respected his decision and allowed him to practise Islam. There were no issues. A year before Ros' father passed away in 1985 at the age of 65, he made a trip to Kerala to trace his roots. Ros mother passed away five years ago at the age of 85 and his whole family attended the Buddhist funeral. Ros has this to say: “We are Muslims, but my mother was Chinese. We respected each other’s beliefs. There are no issues. That is the beauty of Malaysia. "We still return to Kota Baru for Chinese New Year. While in the past, food was cooked at home with my mother around, these days I cater the food." And to ensure that his children know his roots, he has named them with a Chinese name too, from his mother's or his name, except for one. Their names are Faris Almas-Lee, Faizshal Niaz-Lyn, Kim Zuharin, Fadzrin Kate-Lee, Shahin Choo-Liyana, Shaznira Lee-Ann and Niz Afdlin Ahmad. Now, how Malaysian is that! 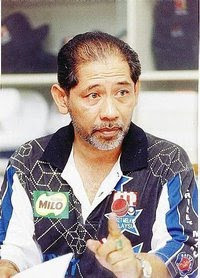 For the record, Ros is a true sportsman and was the recipient of the National Sports Leadership Award 2004. He has contributed immensely to cricket and continues to do so. And his three sons, Faris, Faizshal and Fadzrin, are all national cricketers. And as I wish all our Muslim readers Selamat Hari Raya, let us celebrate this year’s festivity with an open mind and continue our efforts to put Malaysia on the map. Sports can play a vital role in making this a reality.